When I left home shortly after 8 a.m., the sky was cloudy. The forecast was sunny. I wondered how “they” could get it so wrong. I was heading to Shenandoah National Park at the easternmost section of Rockingham Co., Virginia. By the time I got to the east side of Harrisonburg, skies to the northwest were crystal clear. I had hope that the day wouldn’t be gloomy after all. 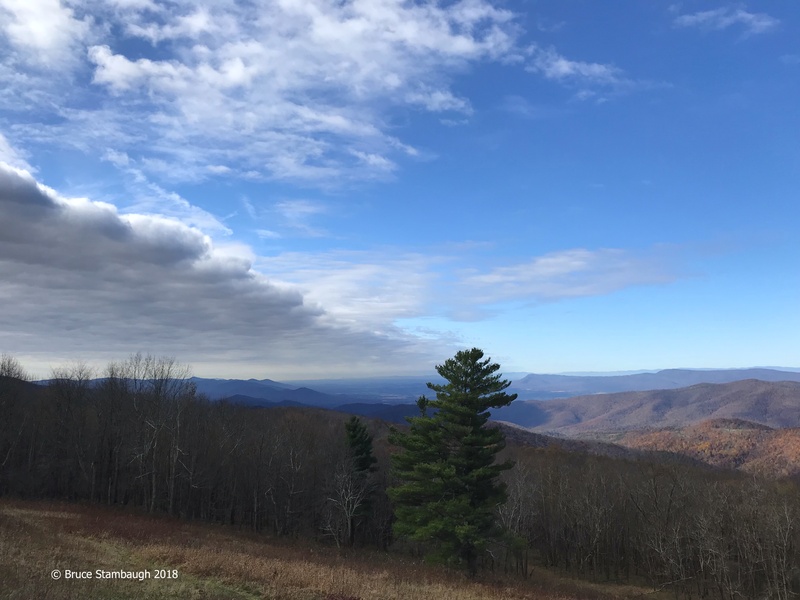 By the time I arrived on Skyline Drive, the road that winds its way along the park’s spine, I could see that it was just a matter of time that the sky would clear. When I reached the critical point of the layer of stratocumulus clouds on the left and clear sky on the right, I had to take a picture. I felt fortunate to capture the meteorological phenomenon that scientists call divergence. That is, the air mass with the clouds was moving away in a horizontal direction from the air mass without clouds. I used the Southern Pine as the marker of this weather DMZ. Massanutten Mountain is just to the right of the pine tree. “Divergence” is my Photo of the Week. I’m a weather nut, geek, groupie, whatever you want to call me. The weather has fascinated me since I was a child. My wife will verify that I get antsy in severe weather. I’ve tried to channel that excitement and energy into practical action. I’ve been a severe weather spotter for the National Weather Service since 1975. 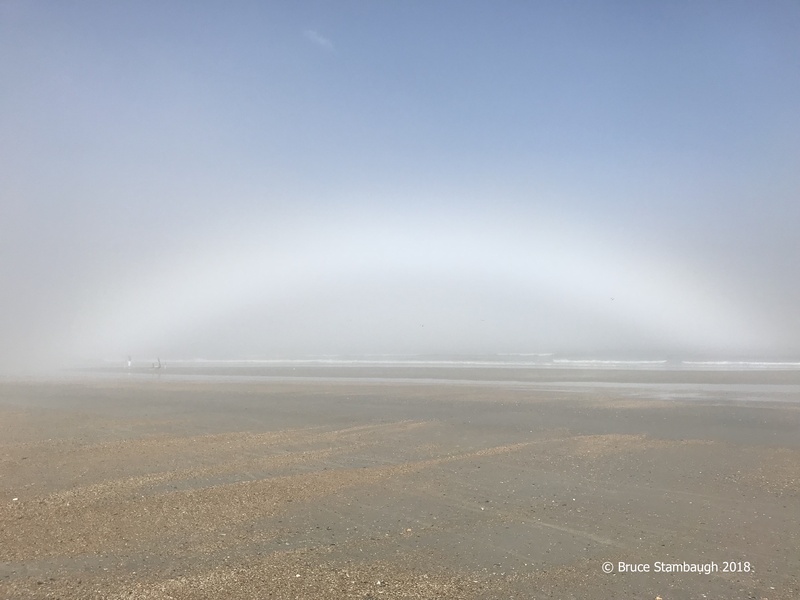 Imagine my surprise when the fog rolled in off of the Atlantic Ocean while walking a beach near Mayport, FL one afternoon. I was surprised and thrilled to see this rare fogbow appear. I was extremely fortunate to be at the right place at the right time because fogbows don’t last long and are seldom photographed. Fogbows are cousins to rainbows. Fogbows form from the sun reflecting in millions of tiny water droplets that make up the fog. Since it takes one million cloud droplets to make a single rain droplet, the fog droplets are too small to adequately refract the colors that create rainbows. Consequently, the fogbows shine bright white but only for a brief time. Because of their color, fogbows are also called ghost rainbows, white rainbows, or cloud bows.